The Maryland Chapter of the Preventive Cardiovascular Nursing Association serves Baltimore City, Baltimore County, Carroll County, Cecil County, Hartford County, Howard County, Montgomery County, Anne Arundel County, and Prince George’s County. Contact Susan to learn more about getting involved with the Maryland Chapter. The Maryland Chapter of PCNA was established in February 2018, serving the state of Maryland. 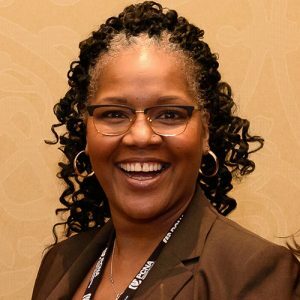 Dr. Susan Giscombe, adjunct faculty member of JHUSON, is the Chapter Leader and her vision is for members to be empowered to educate their communities in the prevention of heart disease. Members and Non-members are invited to two continuing education meetings a year, giving them an opportunity to learn more about updated interventions in the prevention, diagnosis, and management of heart disease. The PCNA Maryland Chapter looks to empower our members in making our communities healthier because nurses are the experts in patient care and must lead in the betterment of our nation’s health.